This entry was posted in Socialist/left parties and tagged Kshama Sawant, Seattle Washington, Socialist on March 16, 2015 by Jill Pyeatt. 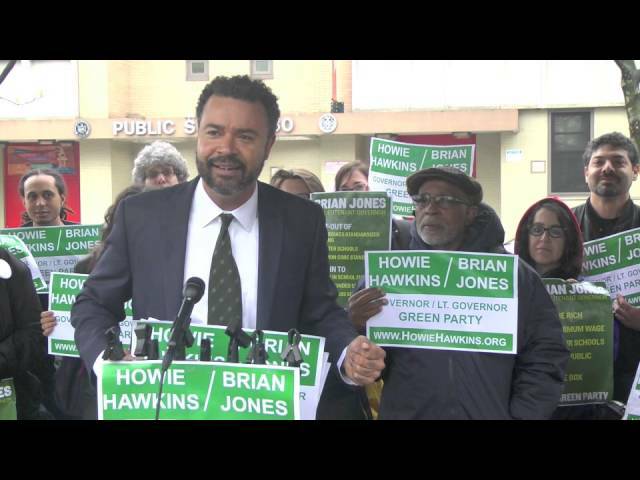 This entry was posted in Green Party and tagged Brian Jones, Governor, Howie Hawkins, International Socialist Organization, New York, Socialist, Socialist Party on November 9, 2014 by Ross Levin. [A] 10-year-old Riverside boy accused in the shooting death of his neo-Nazi activist father gave police a chilling account of how he carried out the early morning attack May 1, officials said in a court document. This entry was posted in Socialist/left parties and tagged National Socialist Movement, nazi, Neo-Nazi, skinheads, Socialist on May 19, 2011 by Marc Montoni. This entry was posted in Libertarian Party and tagged affirmative action, Author, banks, Best-Selling Author, Book, businesse, campaign contributions, Cap and Trade, Chrysler, citizen, college, Columbia University, constitution, crisis, doctors, fans, Football, GM, God, gold, government, Guns, health, higher taxes, income, Labor Crisis, law, legislation, libertarian, National Football League, NFL, Obama, pensions, Players, President, prices, redistribution of wealth, Revolution, salaries, shareholders, shortages, Social Justice, Socialist, sport, strike, Tax Cuts, Taxes, Teachable Moment, The Conscience of a Libertarian, union hack, unions, Vice Presidential Nominee, wage controls, Wayne Allyn Root on March 7, 2011 by Bruce Cohen.